Dear Ones, we approach the times that are bringing a conclusion to much that has kept you from your true path. Soon you will have freedom, thus allowing you to pursue your every desire that will express your divinity. There are many who seek opportunities to serve others, but cannot find an outlet for their passion. You all have a plan to see you through the end times, and not every one is going to play a major role. However, all will contribute to the whole, and are equally important. Never under estimate your value, and know that you are here at this momentous time because you had something to offer. You are privileged to experience the final run in to Ascension, but it matters not whether you will actually do so. As you cannot come through such an experience without gaining spiritually, and that will assist you in your future lives. You will hear and read of rumors that concern both the dark and Light, and if you are discerning you will gain an idea of what is really happening. There is truth and disinformation battling for your attention, but again if you are intuitive you will get a “feel” of what to accept or discard. These are the most testing times and your patience is essential, as we know the human time span can be rather short. Your anticipation of disclosure brings excitement, but there is still an element of fear and apprehension. We know that some of the fear is not of us coming openly to Earth, but because of the changes it will inevitably bring to your lives. Bear in mind that all actions we are going to take are for your upliftment and happiness, and we will be working with your leaders and not taking them over. There of course has to be changes in that direction, as some governments are not truly representing the people as they should. In the future those desiring to serve you will take an oath that they will honor, and will be chosen for that reason. So you will understand that the plans for your return to sovereignty, include the appointment of individuals who reflect the changes that the new paradigm will bring. Love, honesty and truth will rule where once you were mistreated, lied to and considered as dispensable. A wonderful time will emerge from the ashes of duality, that will advance you to where you should have been by now. Poverty and lack have been deliberately caused, but will be replaced by abundance and prosperity. You will gradually become acquainted with futuristic technologies, in readiness for your next experiences in the higher dimensions. You are to reach our levels, and the final achievement will be when you are in a fully conscious state and are truly Cosmic Beings. We see how you toil and often find it difficult to scrape a living, but all that will change. What you once spent a lifetime working for will be your automatic entitlement, and you will choose what to do with your time. There will be ample opportunity for leisurely pursuits, and your skills or knowledge will be used for everyone’s benefit. You can hardly fail to appreciate how much nearer all of it is taking you to us and our way of life. We are here to share it with you, and know what enlightened souls you are becoming. The awakening is spreading, along with the desire to bring about a new sense of direction that leads to Love and Light. You are becoming what you always were, Beings that are gods in your own rights, and that means with great power of creation. In adversity you have found strength, and a great will power that will carry you far in your next life. Now you are clearing out the debris that has collected over millennia of time. These are your final acts to clear the way forward to a golden future. There is nothing to lose but everything to gain, by pushing onwards to the path of Ascension. It will literally be like being released from life imprisonment which is effectively what it has been. Having so much freedom will open a whole new window for your enjoyment. So cherish what happiness you now find, and know that you are to experience total happiness in a future time. We know from the response of visitors from Earth who visit our ships, how wondrous and exciting they find it. How we would like to introduce more of you to them, but that will have to wait for a suitable time. Perhaps a Mother ship a mile wide would seem like a city in space, but how would you feel in one a hundred miles wide? This will give you a clue as to how we can spend many years at the time on board such craft, as it is home to home because of its facilities. Everything can be easily replicated and you would want for absolutely nothing. If you did not know otherwise, you would think you were on another planet because of how cleverly the surroundings are created. The Galactic Federation is a massive organization, yet for all that it is highly organized thanks to our computer systems that are capable of self – empowerment. They have a level of consciousness that enables them to think at a very high level of understanding. Their intelligence is greater than Man’s is at present, and they are programmed with more information than you could accommodate. Knowing all this you will begin to understand how easily we can monitor whatever is happening on Earth. It does not matter whether Man is concealed in deep underground bunkers, we can still “hear and see” what is going on. That should re-assure you that you are safe from any plans made against you, as you have us on your side. We are really in control of your planet, but have to make allowance for your freewill decisions and karma. I am SaLuSa from Sirius, a most beautiful and bright star that shines out from the heavens for all to see. Light equates with degrees of love, and where it is powerful you will also find a great love vibration. Envisage Light in others as well as yourself, and as you pass each other exchange your energies with a beautiful smile or kind word. Look at the response from small children, and you will know that they see your Light quite clearly. Share your love energies with those who are in need of healing, and know that you cannot do harm and go against someone’s freewill as they will not accept them. Healing has to be a two-way thing but even so it does come back to karma. Sometimes it has to be rejected through a soul agreement but nevertheless, the loving intent is appreciated. 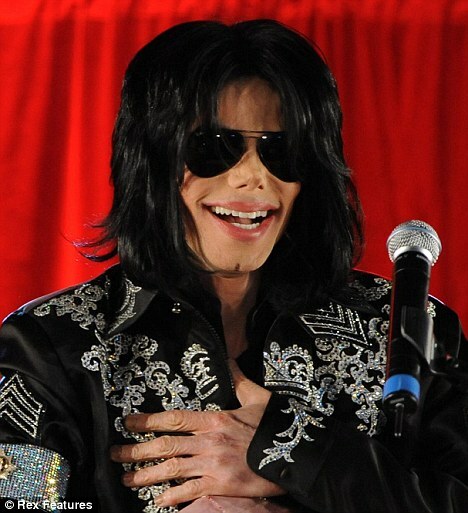 Michael Jackson’s death has been officially ruled as murder, it was revealed today. 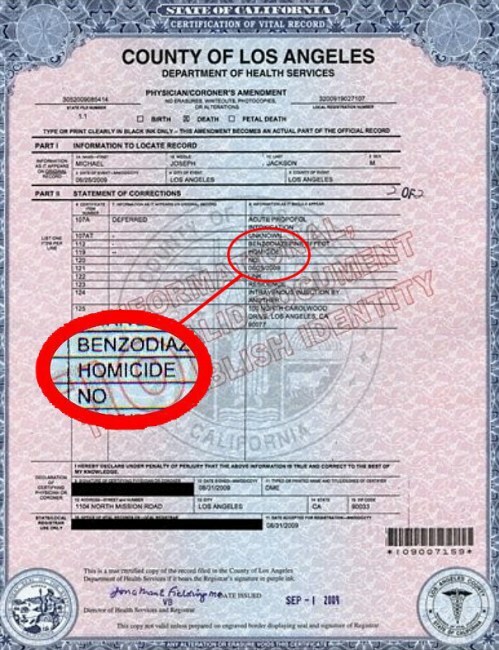 The cause of death on the 50-year-old’s death certificate has been amended to ‘homicide’ after months of speculation. According to the document the King of Pop died from ‘acute Propofol intoxication’ due to an ‘intravenous injection from another’. On the original certificate issued on July 7 deputy coroner Cheryl MacWillie refused to give a cause of death. 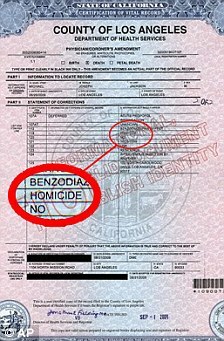 However after further investigations, the certificate was amended and re-released in August by medical examiner Christopher Thomas. It now states the cause of death on 25th June 2009 as ‘homicide’. A source said that the Jackson family are ‘keeping faith with the police’, adding: ‘We still feel that there is more than one person responsible for Michael’s tragic death. 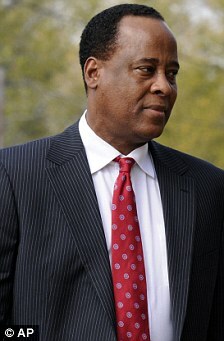 The news comes after it emerged that the singer’s doctor Conrad Murray is expected to be charged with manslaughter. Dr Murray could be prosecuted for ‘gross negligence’ for his treatment of the pop star during his last hours, police sources said. Murray, a cardiologist, was with the star at his rented Los Angeles mansion in June and tried to revive him when he was found unconscious. Murray already has a Houston law firm building his defence. Police affidavits say he admitted loading up Jackson with Propofol and other drugs in the hours before his death. Miranda Sevcik, a spokeswoman in Houston for Murray and his lawyer, Edward Chernoff, said Friday the doctor had no comment and reiterated that Murray neither prescribed nor administered anything that should have killed Michael Jackson. Jackson died while under Murray’s care as the singer prepared for an ambitious concert schedule. The district attorney’s office is waiting for Los Angeles police to turn over the case before presenting it to a grand jury, the law enforcement source said. A spokeswoman for the district attorney’s office, however, denied that any decisions have been made. ‘We have been working closely with the Los Angeles police during the pendency of this investigation,’ spokeswoman Sandi Gibbons said. To prove a charge of involuntary manslaughter, authorities must show there was a reckless action that created a risk of death or great bodily injury. If a doctor is aware of the risk, there might also be an issue of whether the patient knows that risk and decided to take it. A large number of witnesses have been interviewed by police, including those who were present during Jackson’s last days and those who worked with him in preparation for his comeback concert, ‘This Is It’. Authorities have also lined up medical expert witnesses who will testify about the normal standard of care in a situation such as Jackson’s and will give opinions on why Murray’s actions constituted gross negligence, the source said. The police investigation was substantially completed by the end of December, the source said. At first it seemed easy to dismiss the object as a lens flare or a spot on the camera lens, but after further study it became clear that the answer wasn’t that simple. Also, Mikalsen is no stranger to aurorae, having worked on Andøya Rocket Range (on the island of Andøya) for many years. He’s seen aurorae of all shapes and sizes, but he’d never before seen a structure like this hanging in the sky. Hold on. A reflection of auroral light… in space? That’s impossible. The structured shape of the phenomenon, plus its distance from any light sources, seems to indicate that this isn’t an equipment problem. There is also no known aurora that could do this naturally. So that leaves the “reflection from space” argument. What do we have in space that could possibly reflect the green light being emitted by the aurora? My personal concern about the satellite flare theory is the question about auroral light intensity. Is the light from a large aurora bright enough to bounce off a satellite and appear as an auroral satellite flare as a point? And in turn produce a parachute-shaped, lens flare-like projection in the photo? I couldn’t imagine even an Iridium satellite amplifying auroral light that much (although a stonking-huge orbital solar power array of the future might do a better job). 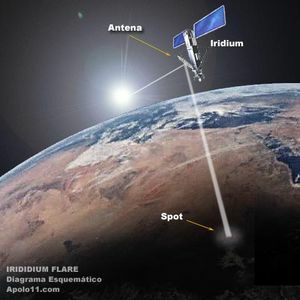 “The intensity of an intense aurora is not far from the intensity of moonlight, which is 1/100,000 of sun’s light, and the solar Iridium flares apparently are several orders of magnitude stronger than this ‘auroral flare,’ so the intensity does not immediately exclude the satellite reflection hypothesis,” said Hansen. ﻿ “The intensity of an intense aurora is not far from the intensity of moonlight, which is 1/100,000 of sun’s light, and the solar Iridium flares apparently are several orders of magnitude stronger than this ‘auroral flare,’ so the intensity does not immediately exclude the satellite reflection hypothesis,” said Hansen. What makes this revelation even more exciting is that we’ve never seen an auroral reflection from a satellite before (if it’s not a lens flare, that is). “I have, by the way, never seen or heard of a similar phenomenon,” Hansen said. 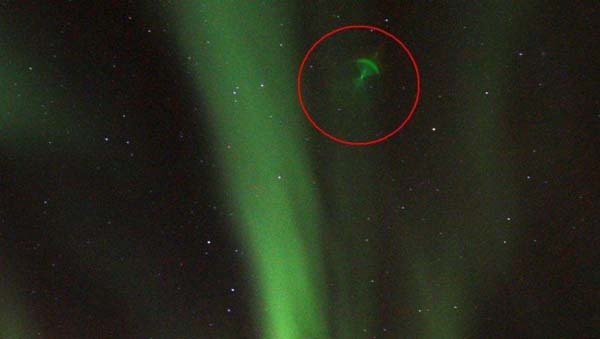 Posted in Anomalic Interferences | Tagged: exopolitics, haarp, media, norway, wormholes | Comments Off on New Aurora Mystery: What is Going on in the Skies over Norway!? ﻿Comment by Wes Penre: I don’t think this timeline and the events are totally accurate, but it is a “guideline” and good enough to use as reference points. The following information come from various sources. Where different sources overlap, they will be merged with each other. Between 450,000 BCE and 2023 BCE, is information that comes from schollar Zecharia Sitchin, one of the few people on the planet who has been able to read and translate the Sumerian Clay Tablet writing, Cuniform. While not all researchers fully agree with his interpretation, it will give you a good start to the happenings of our solar system for the past few hundred thousand years. More information will be added as it comes to hand. 450,000 years ago. On Nibiru, a distant member of our solar system, life faces slow extinction as the planet’s atmosphere erodes. Deposed by Anu, the ruler Alalu escapes in a spaceship and finds refuge on Earth. He discovers that Earth has gold that can be used to protect Nibiru’s atmosphere. 445,000 years ago. Led by Enki, a son of Anu, the Anunnaki land on Earth, establish Eridu – Earth Station I – for extracting gold from the waters of the Persian Gulf. 430,000 years ago. Earth’s climate mellows. More Anunnaki arrive on Earth, among them Enki’s half-sister Ninhursag, Chief Medical Officer. 416,000 years ago. As gold production falters, Anu arrives on Earth with Enlil, the heir apparent. It is decided to obtain the vital gold by mining it in southern Africa. Drawing lots, Enlil wins command of Earth Mission; Enki is relegated to Africa. On departing Earth, Anu is challenged by Alalu’s grandson. 380,000 years ago. Gaining the support of the Igigi, Alalu’s grandson attempts to seize mastery over Earth. The Enlilites win the War of the Olden Gods. 300,000 years ago. The Anunnaki toiling in the gold mines mutiny. Enki and Ninhursag create Primitive Workers through genetic manipulation of Ape woman (Neanderthal); they take over the manual chores of the Anunnaki. Enlil raids the mines, brings the Primitive Workers to the Edin in Mesopotamia. Given the ability to procreate, Homo Sapiens begins to multiply. 200,000 years ago. Life on Earth regresses during a new glacial period. 100,000 years ago. Climate warms again. The Anunnaki (the biblical Nefilim), to Enlil’s growing annoyance marry the daughters of Man. 75,000 years ago. The “accursation of Earth” – a new Ice Age-begins. Regressive types of Man roam the Earth. Cro-Magnon man survives. 49,000 years ago. Enki and Ninhursag elevate humans of Anunnaki parentage to rule in Shuruppak. Enlil, enraged. plots Mankind’s demise. 13,000 years ago. Realizing that the passage of Nibiru in Earth’s proximity will trigger an immense tidal wave, Enlil makes the Anunnaki swear to keep the impending calamity a secret from Mankind. 11,000 BC – Enki breaks the oath, instructs Ziusudra / Noah to build a submersible ship. The Deluge sweeps over the Earth; the Anunnaki witness the total destruction from their orbiting spacecraft. Enlil agrees to grant the remnants of Mankind implements and seeds; agriculture begins in the highlands. Enki domesticates animals. 8970 BC – Horus avenges his father Osiris by launching the First Pyramid War. Seth (Marduk, his Adapite wife, Sarpanit and their sons, Asar-Osiris and Satu-Seth) escapes to Asia, seizes the Sinai peninsula and Canaan. 8670 BC – Opposed to the resulting control of all the space facilities by Enki’s descendants, the Enlilites launch the Second Pyramid War. The victorious Ninurta empties the Great Pyramid of its equipment. Ninhursag, half-sister of Enki and Enlil, convenes peace conference. The division of Earth is reaffirmed. Rule over Egypt transferred from the Ra/Marduk dynasty to that of Thoth (Ningishzidda – Enki’s and Ereshkigal son, and Marduk’s earthborn half-brother). Heliopolis built as a substitute Beacon City. 3800 BC – Urban civilization begins in Sumer as the Anunnaki reestablish there the Olden Cities, beginning with Eridu and Nippur. Anu comes to Earth for a pageantful visit. A new city, Uruk (Erech), is built in his honor; he makes its temple the abode of his beloved granddaughter Inanna/lshtar. 3450 BC – Primacy in Sumer transferred to Nannar/Sin. Marduk proclaims Babylon “Gateway of the Gods.” The “Tower of Babel” incident. The Anunnaki confuse Mankind’s languages. His coup frustrated, Marduk/Ra returns to Egypt, deposes Thoth, seizes his younger brother Dumuzi who had betrothed Inanna. Dumuzi accidentally killed; Marduk imprisoned alive in the Great Pyramid. Freed through an emergency shaft, he goes into exile. 2316 BC – Aiming to rule the four regions, Sargon removes sacred soil from Babylon. The Marduk-Inanna conflict flares up again. It ends when Nergal, Marduk’s brother, journeys from south Africa to Babylon and persuades Marduk to leave Mesopotamia. 2180 BC – Egypt divided; followers of Ra/Marduk retain the south; Pharaohs opposed to him gain the throne of lower Egypt (north). 2113 BC – Enlil entrusts the Lands of Shem to Nannar; Ur declared capital of new empire. Ur-Nammmu ascends throne, is named Protector of Nippur. A Nippurian priest-Terah, Abraham’s father – comes to Ur to liaison with its royal court. 2080 BC – Theban princes loyal to Ra/Marduk press northward under Mentuhotep I. Nabu, Marduk’s son, gains adherents for his father in Western Asia. 2055 BC – On Nannar’s orders, Shulgi sends Elamite troops to suppress unrest in Canaanite cities. Elamites reach the gateway to the Sinai peninsula and its Spaceport. 2029 BC – Ibbi-Sin replaces Shu-Sin. The western provinces increasingly to Marduk. 2024 BC – Leading his followers, Marduk marches on Sumer, enthrones himself in Babylon. Fighting spreads to central Mesopotamia. Nippur’s Holy of Holies is defiled. Enlil demands punishment for Marduk and Nabu; Enki opposes, but his son Nergal sides with Enlil. As Nabu marshals his Canaanite followers to capture the Spaceport, the Great Anunnaki approve of the use of nuclear weapons. Nergal and Ninurta destroy the Spaceport and the errant Canaanite cities. 2023 BC – The winds carry the radioactive cloud to Sumer. People die a terrible death, animals perish, the water is poisoned, the soil becomes barren. Sumer and its great civilization lie prostrate. Its legacy passes to Abraham’s seed as he begets – at age 100 – a legitimate heir: Isaac. This is where Sitchins timeline ends for now. As new information comes to hand I will insert it in here.